Just like in 2015 Alcorn State will represent the SWAC and North Carolina A&T will rep the MEAC. But a lot of things have changed. 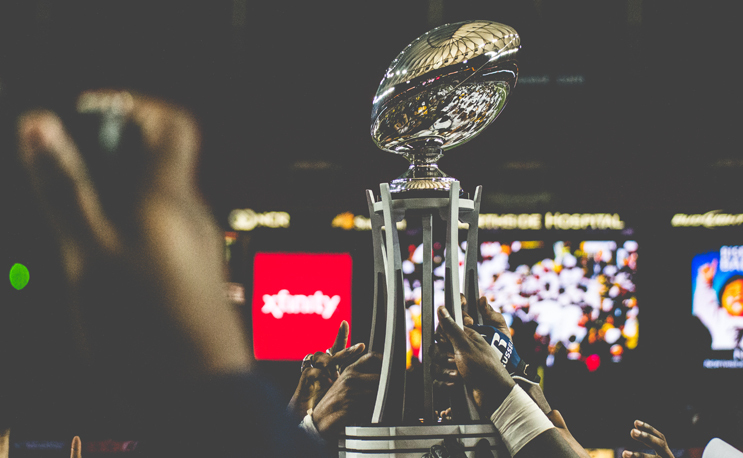 After a long season full of twists and turns, the SWAC and MEAC Champs have been crowned and the Celebration Bowl matchup is set. Alcorn State will face North Carolina A&T for bragging rights, a pretty trophy and likely Black College Football national title rights. Both teams were featured in the inaugural game back in 2015 when A&T rode a big-time performance by Tarik Cohen (295 yards) to a solid win that wasn’t totally secured until the final minutes. Both Alcorn State and A&T were led by transformational coaches in the first Celebration Bowl. Jay Hopson brought ASU its first SWAC title in a decade in 2014, then did it again back in 2015 to bring it to Atlanta. Likewise, Rod Broadway rebuilt A&T from a MEAC afterthought to perennial title contender winning a share of the title in 2014 (along with four other teams) and then again in 2015. The Celebration Bowl would be Hopson’s last game at ASU. He left for Southern Mississippi a few weeks later, handing the reigns to Fred McNair. It took three tries in the SWAC Championship game, but he finally got over the hump on Saturday, beating Southern and going back to Atlanta. Broadway stuck around at A&T long enough to win another MEAC title and Celebration Bowl in 2017 before riding off into the sunset. Shortly after the new year, he retired and Sam Washington assumed the role. He led the program to a 9-2 record and another conference title in his first season as a head coach. Obviously, three years is a long time in college football. Pretty much all of the key players from the inaugural game have moved on now. Senior Kwashun Quick started at quarterback for A&T, with Kylil Carter taking some snaps too. Lamar Raynard was relegated to the sidelines for that game before coming back as the featured player in 2017. Cohen, of course, is now with the Chicago Bears and fighting for playoffs and pro bowls. Marquell Cartwright didn’t play in 2015 but he’s been the MEAC’s leading rusher the last two seasons. Gone also are future pros in Brandon Parker (Raiders) and Tony McCrae (Bengals) as well as Denzel Keyes, as they have been replaced by players like Elijah Bell, Zachary Leslie and Timadre Abrams. Alcorn State has been rebuilt as well. Footman was fresh on the scene in Celebration Bowl I and went on to lead ASU to two more SWAC East titles. This year Noah Johnson has been impressive as his replacement, particularly in the SWAC Championship Game as he helped his team regain the title. The backfield of D’Shawn Waller and P.J. Simmons will likely play a big role this time around as well. CB1 was the final game for A&T wearing Russell Athletic uniforms. The following year, the MEAC opted out of its Russell deal, allowing its teams to seek other outfitters. A&T, like most of the conference, went with Nike. In 2017, a year after the MEAC pulled away from Russell, the outfitter announced that it was getting out of the uniform business. Teams in the SWAC, like the SIAC and CIAA, would have to find new deals. Alcorn State has remained in Russell this season, but will be going with Adidas going forward. Many people felt had some of the best Russell uniforms, and its gold chrome helmets from the first game are still super popular. The inaugural Celebration Bowl, as well as CBII, was played in the Georgia Dome. Approximately 35,000 fans filled the dome, which remains as the best-attended Celebration Bowl. The dome is no more these days as it was destroyed following the completion of the Mercedes-Benz Stadium. A&T and Grambling played CBIII in the new stadium in 2017 in front of the smallest crowd in Celebration Bowl history. The challenge will be on the two schools to bring attendance back up as well as draw a larger TV audience than last year’s game.